"I've been playing bass for the last 16 years. I've played many brands and many different types of pickups, and after hearing the tone of wood through a pair of Bartolini pickups, I knew they were exactly what I needed. I haven't heard pickups yet that can bring out the best of the instruments REAL tone, instead of having a tone that's the same regardless of any instrument they're put in. 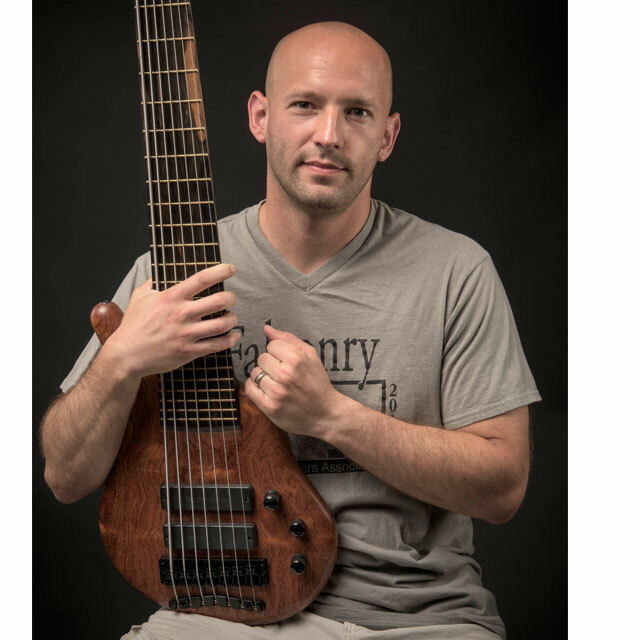 Bartolini pickups truly bring out the best tonal qualities of ANY instrument!" As a performing bassist in various bands, Jonathan Munnier has been relentlessly tearing up the stage (and jumping off of it) since age 14. Along with being a musician, Jon is also a professionally trained audio engineer, and has been producing, recording, mixing, and mastering projects since 2001. He also works in healthcare and is a neonatal-pediatric respiratory therapist. Jon's current project, On the Shoulders of Giants, which Jon also co-produced and engineered along with fellow Warwick artist Ryan Martinie, have released a debut EP with great reception. The project also includes guitarist Dean Murphy and vocalist Mike Keiper, as well as drumming from the mind of Matt McDonough, most known for his work with Mudvayne.